When staying at the Skyline Inn guests are provided with an assortment of great amenities, movie nights, free wifi internet and Kids Eat Free. Amenities include direct indoor connection to the Fallsview Indoor Waterpark and Falls Avenue Resort. Skyline is also only steps from Casino Niagara and minutes walk to the Falls. 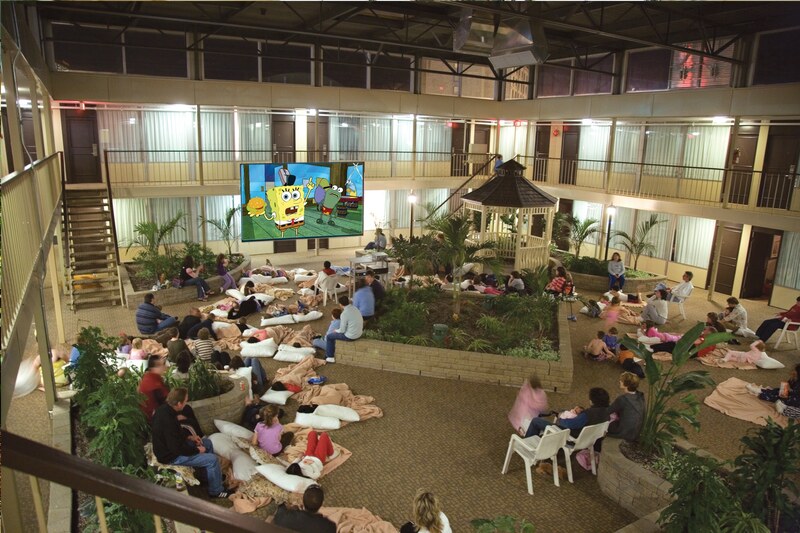 Movie nights are a fan favourite of kids. 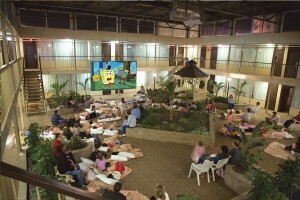 Every night the Fallsview Indoor Waterpark is open families can jump into their pyjamas and watch a blockbuster movie in the Skyline courtyard area. It’s a great way to relax after a busy day in the Waterpark. Free Wifi Internet is available throughout the Skyline Inn to help you to stay connected during your visit. Kids Eat Free at the Planet Hollywood or Perkins Restaurant. When choosing the Planet Hollywood guests receive a children’s meal free when purchasing an entrée valued at $17.95 or greater durning lunch and dinner times. Choosing Perkins Restaurant guests receive one Kid’s Meal including beverage for each adult entrée with beverage purchased for dinner time only after 4pm.